Make your own Pickled Beets at home with fresh beets and red onions marinated in white balsamic vinegar, extra virgin olive oil, sugar and fresh tarragon. As a child, I remember going to family picnics and without fail, there would always be pickled beets as a salad option. I never particularly cared for them when I was young, but as I reached my teenaged years. The recipe was simple: canned beets, onions and white wine vinegar and I thought they were alright, but not something I would rush out to make for myself. In fact, I don’t recall having eaten pickled beets again since the 1980’s. 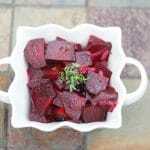 However, with my new found love of fresh beets, I decided to give the old recipe a makeover using fresh ingredients like beets and tarragon; then using a white balsamic vinegar to give it a slightly different flavor. 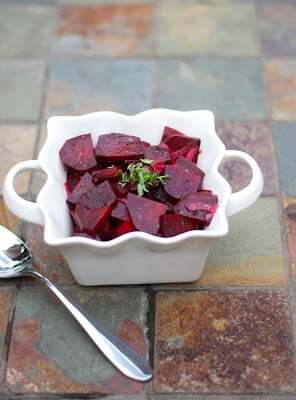 To make this recipe, start by placing the beets in a pot; then cover with water. Bring them to a boil; then reduce the heat to low and allow to simmer until the beets have softened. Cooking times may vary depending on size, but they can take approximately 20-40 minutes. Remove from pan and allow to cool in cold water. Allow the beets to refrigerate for at least 2 hours before serving, but they taste better if you let them sit overnight so they really get that tangy flavor. 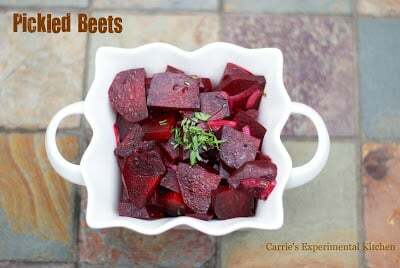 These Pickled Beets were so refreshing and flavorful and would make a lovely salad for any upcoming summer gathering. Try mixing it up a bit by using other flavored vinegars and fresh herbs. ~Enjoy! 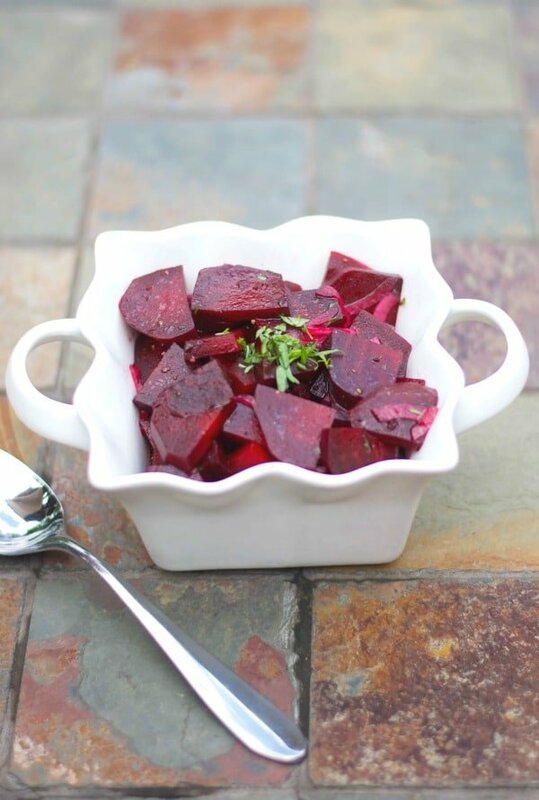 Place the beets in a pot, then cover with water. Bring to a boil, then reduce heat to low and allow to simmer until the beets have softened. Cooking times may vary depending on size, but will take approximately 20-40 minutes. Remove from pan and allow to cool in cold water. Peel the beet skins, slice beets into 1/4" thick slices; then cut into manageable, bite-sized pieces and place in a bowl; then add the onions. In a separate small bowl, whisk together the vinegar, oil, tarragon and sugar until it's combined; then add it to the beets. Mix well and season with salt and pepper. Allow to refrigerate for at least 2 hours before serving, but preferably overnight. *Allow for extra refrigeration time. 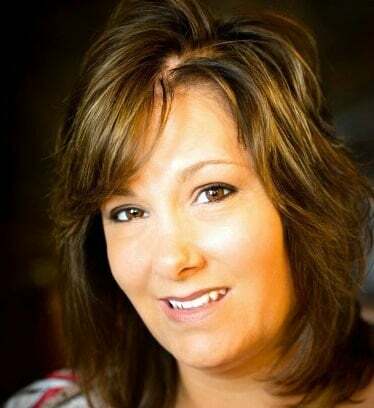 Post includes links to my affiliate account at Amazon.com where Carrie’s Experimental Kitchen earns a few cents on the dollar when readers like yourself purchase the items I recommend. Thank you for supporting Carrie’s Experimental Kitchen when you shop at Amazon! We LOVE pickled beets and I make them frequently. I always roast mine, pickle them in 1 part sugar, 1 part sherry vinegar and 1 part apple cider vinegar and add lots of red onion. So good! Oh that sounds really good Anita! Thank you for sharing these gorgeous Pickled Beets on Thursday’s Treasures, my sweet friend! I cannot wait to make them!